The Milwaukee Mile is a race track in West Allis, Wisconsin, USA. It is a 1 mile long (1.032 mi, 1.619 km) oval track that seats about 50,000 spectators. It operated as a dirt track until 1953. The track was paved in 1954. 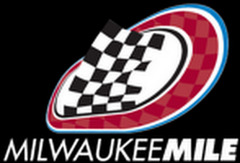 The Milwaukee Mile's premier distinction is as the oldest operating motor speedway in the world, hosting at least one auto race every year since 1903. The track is located at the grounds for the Wisconsin State Fair. The track has held events sanctioned by major sanctioning bodies, such as the American Automobile Association, USAC, NASCAR, CART/Champ Car World Series, and the IndyCar Series. There have also been many races in regional series such as ARTGO. Racers who have competed at the track are a Who's-Who of racing history: Barney Oldfield, Ralph DePalma, Parnelli Jones, A.J. Foyt, Al Unser, Bobby Unser, Mario Andretti, Bobby Rahal, Jim Clark, Darrell Waltrip, Alan Kulwicki, Emerson Fittipaldi, Bobby Allison, Davey Allison, Nigel Mansell, Michael Andretti, Harry Gant, Rusty Wallace, and Walker Evans, as well as current racing stars Danica Patrick, Marco Andretti, Dale Earnhardt, Jr., Kasey Kahne, Dario Franchitti, Jeff Gordon, Dale Jarrett, Juan Pablo Montoya and many others. Nothing has been shared for The Milwaukee Mile yet.